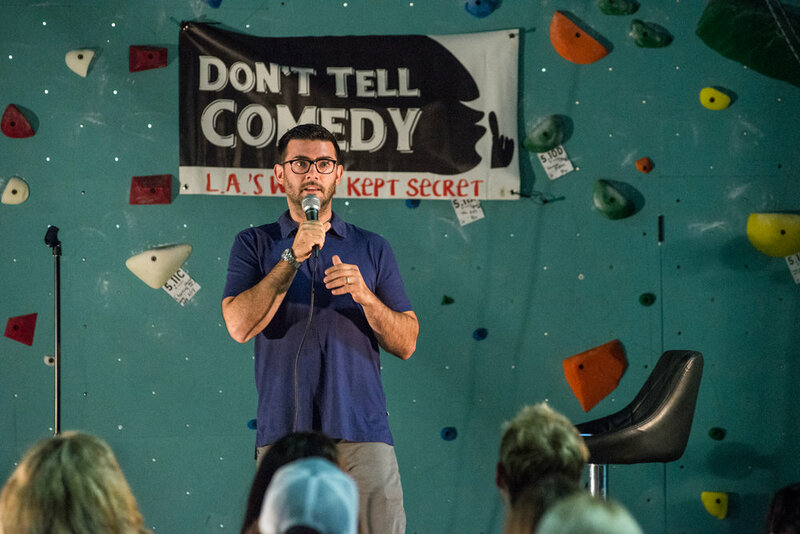 What is Don't Tell Comedy and how did is start?! Sierra LaFrance designed the logo. First show in Silverlake on March 31st! Location scouting and a new logo! Bel Air Condo and Venice Backyard Banger! Two beyond sold out shows. 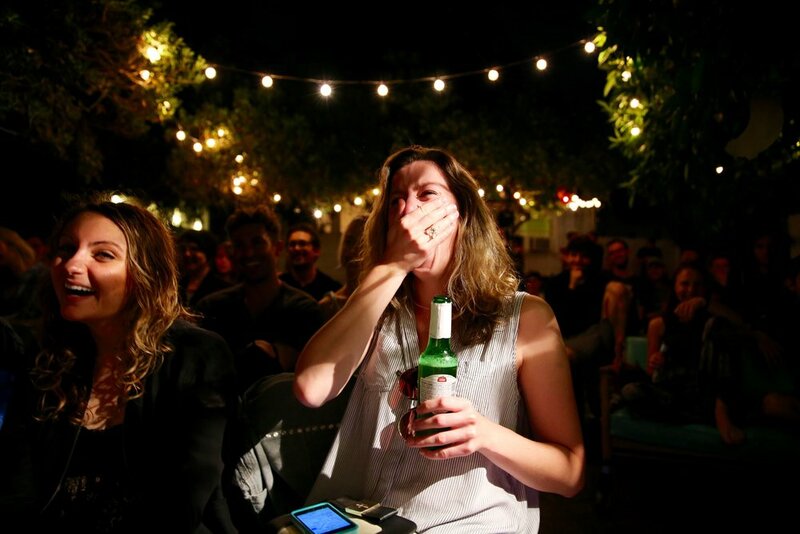 We had 120 RSVPs to the show in Venice, we could only fit 40, luckily it's LA and people flaked! One show, one massive turnout! 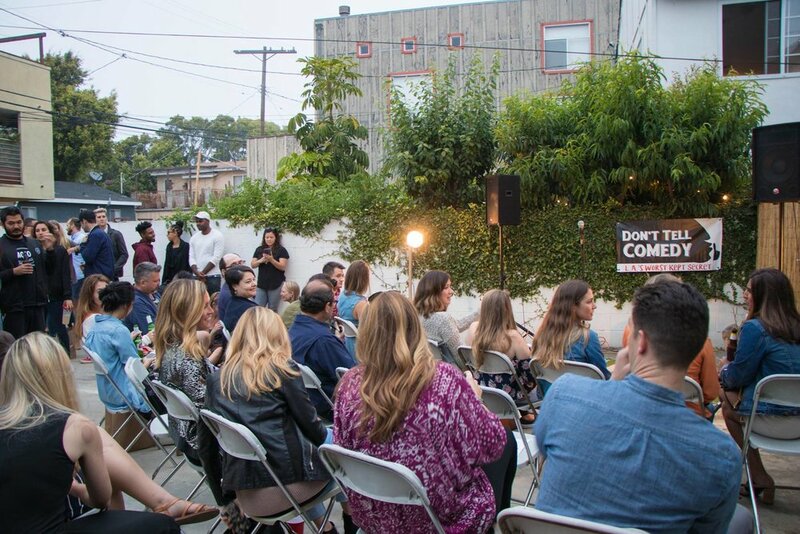 Standing room only in Venice in our very own Alex Weber's tropical backyard parking lot! It was such a fun show that someone who came wrote about us in the Argonaut news! July was a hot month filled with outdoor shows! 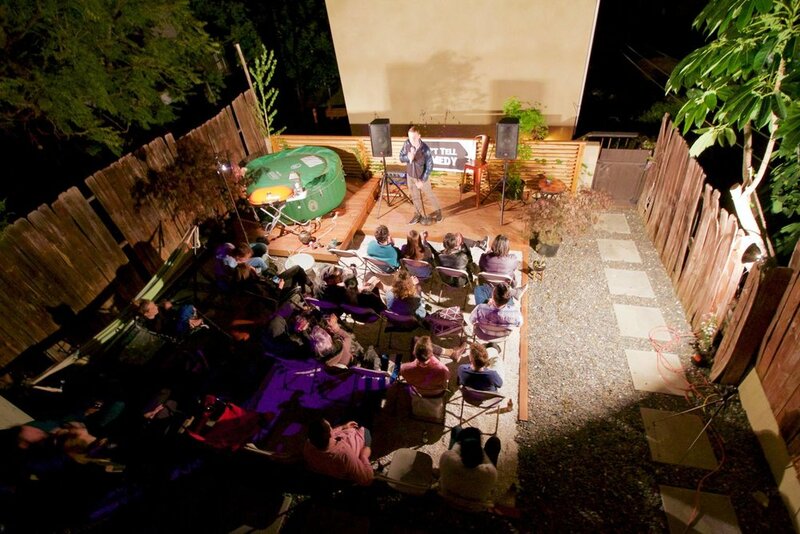 Venice living room, WeHo backyard, DTLA rooftop, and a Venice backyard! Karate Studio, Clothing Store, Coffee Shop, and a Fundraiser for Safe Place for Youth! San Francisco high rise, secret garden fundraiser, boutique clothing store and LA's oldest bookstore! 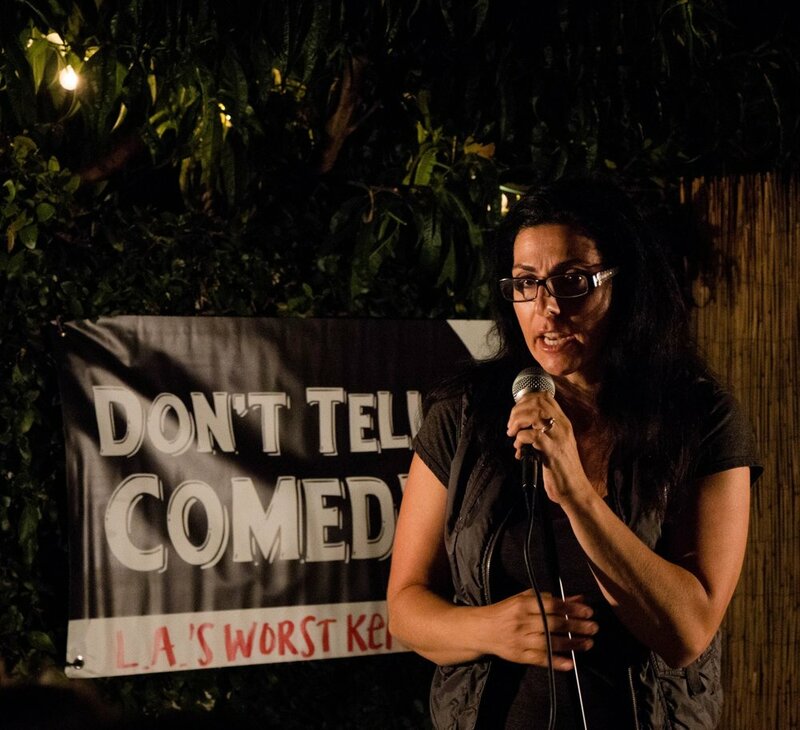 Don't Tell USA - In November we did 8 shows covering both coasts and 8 different cities! 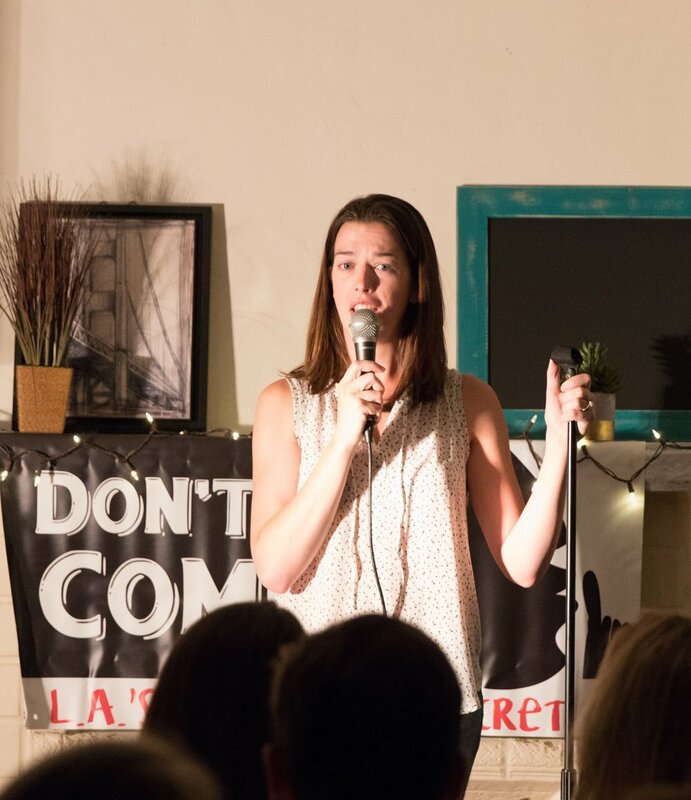 Don't Tell Comedy was also featured in Alaska Airlines Magazine! WeWorks, apartments, furniture stores, and yoga studios! 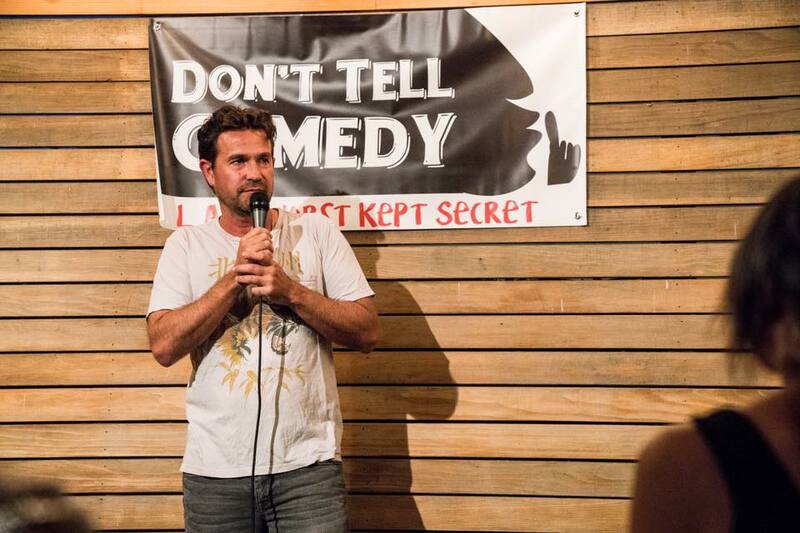 San Francisco starts to become a permanent home for Don't Tell Comedy!